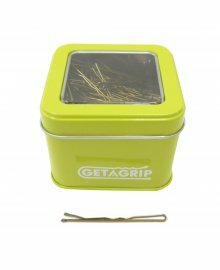 Get-A-Grip offer a stunning range of premium hair grips. These are ideal of professional salon use. Available in Blonde, Brown or Black, they are in stylish metal tins, containing 250 grips. Each variety is in a different colour tub, so you know which are blonde, which are brown and which are black, plus they have a clear lid so you can see how many are left. Not only are they practical, but they are made from a higher standard of metal, offering up a strong hold level. This gives you greater creative freedom. Despite the stronger grip, clients will still feel comfortable and the design helps ease access and application. Ideal for holding place during tricky styling, for instance on updos. 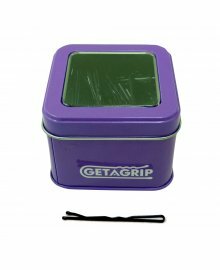 So pick up a box of Get A Grips today, and don't forget, Dennis Williams offers Free Delivery on orders over £50 ex.VAT.